Episode 8 of podcast is now live. The podcasts is also available on iTunes, PlayerFM and other podcast catchers. As always, I can be found on Instagram and Ravelry. There is also a Ravelry Group for the Mrs M’s Curiosity Cabinet podcast. I am back to sock knitting and have been cracking on with my pair of Planum socks (by Clare Devine) in Cuthbert Sock Yarn, which Whistlebare Farm sent me for free to include my no-nylon sock experiment. 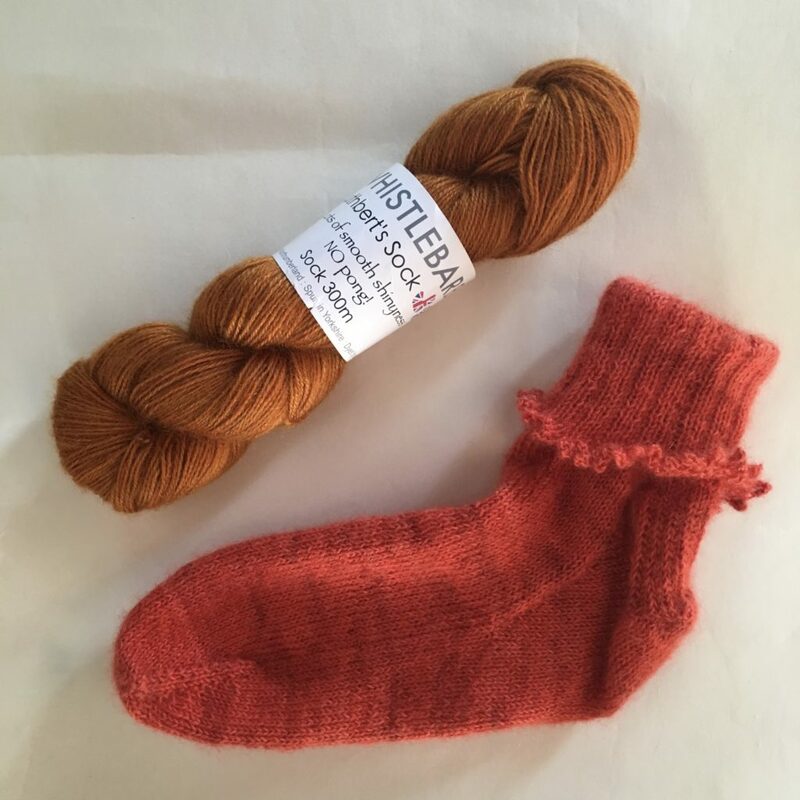 As I am already smitten with the potential of this Mohair/Wensleydale blend, I picked up another skein of it at Nottingham Yarn Expo, where I met Alice of Whistlebare Farm. She shared some interesting facts about mohair’s properties. As I deepen my dressmaking experience, I am increasingly looking at how I can use both my knitting and sewing skills to achieve a more natural wardrobe that meets my practical needs and appeals to my aesthetic senses. Although excluding certain types of fabrics from my wardrobe may limit my choice, I am finding different ways to achieve the look and functionality I want. In this episode I talk about how I am knitting to satisfy my desire for patterns in some of my clothes. I explain how lace knitting is already doing this, e.g. with my Pomme de Pin cardigan (by Amy Christoffers), knit in Blacker Yarns’ Classic 4ply. I decided to add the Autumn’s End sweater (by Alana Dakos), knit in Dark Corriedale DK from Wooltops, to my wardrobe for the same reason but achieved a slightly unexpected but equally delightful pattern effect. 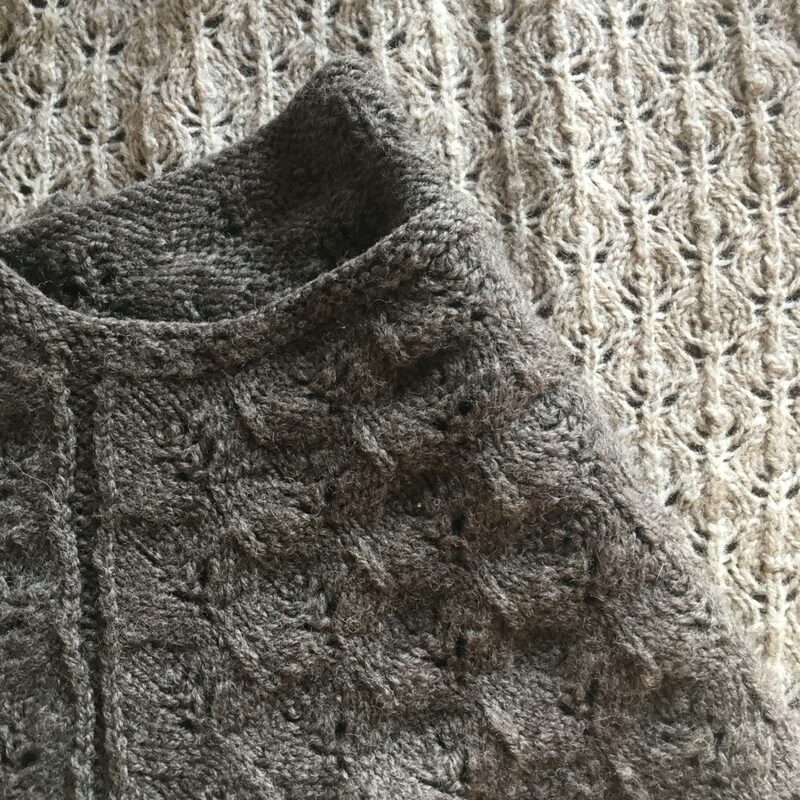 And I am also considering incorporating some stranded colour work knitting into my wardrobe to add patterns, possibly in the form of the Northdale sweater from Gudrun Johnston’s The Shetland Trader, Book Two. My wardrobe engineering has also involved looking for a solution to my lining/slip dilemma. 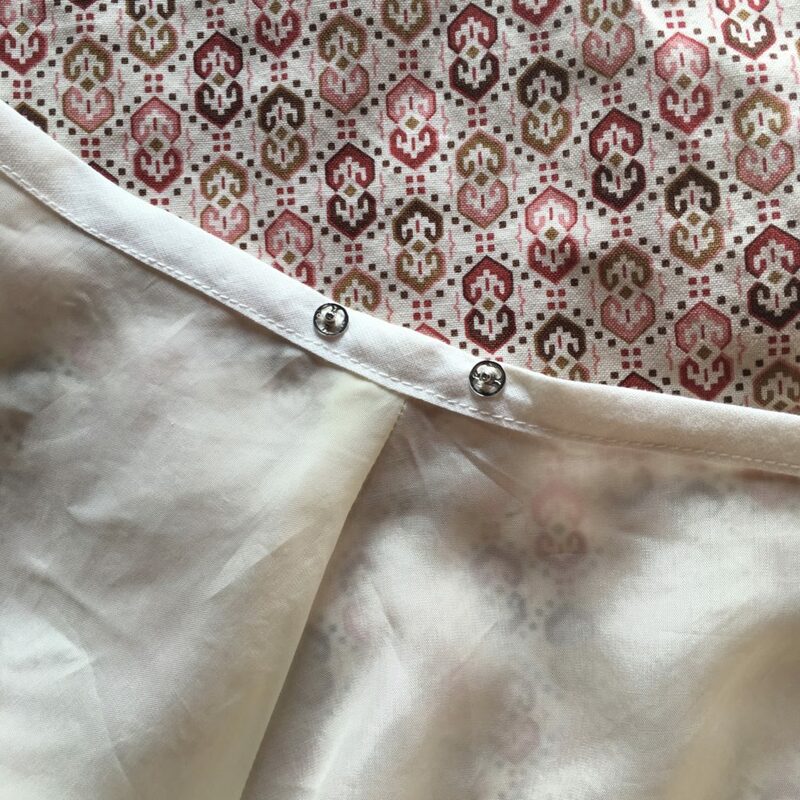 In particular, how to balance the need for an antistatic layer to stop my cotton dresses and skirts clinging to my tights or riding up with my environmental qualms about manmade fabrics. 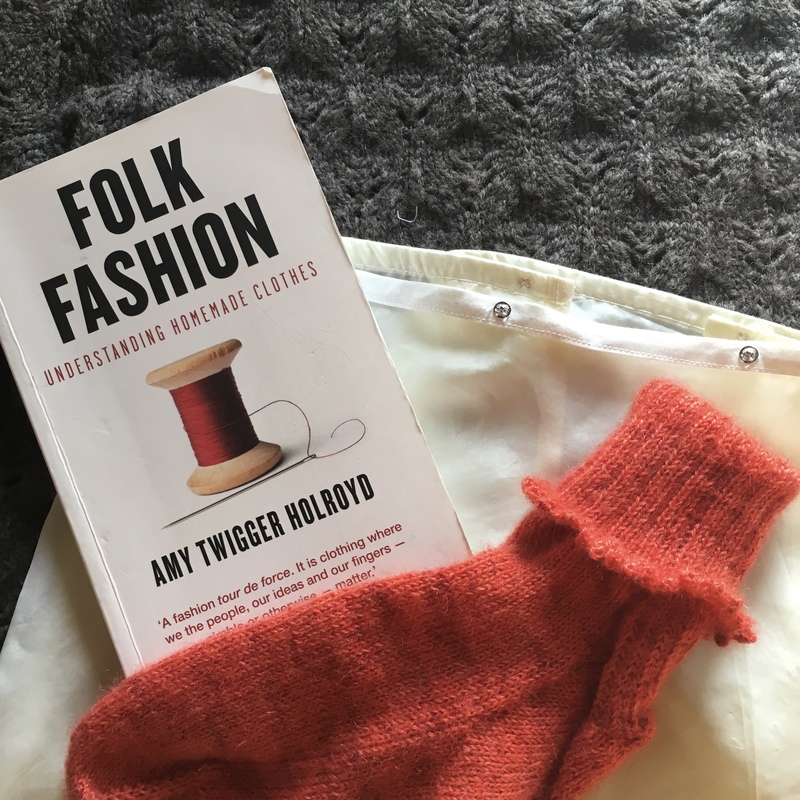 I also review Folk Fashion – Understanding Handmade Clothes by Amy Twigger Holroyd. I mentioned that the recommended retail price of the book is £14.99 but I note that it is currently available for £10.49 (plus P&P) directly from the publisher. @sarahcswett and her blog A Field Guide to Needlework. I am SO behind on listening to podcasts, but I WILL get around to listening to your latest episode, not least because I just picked up a copy of Folk Fashion and am curious to hear your thoughts (haven’t started reading it yet). Amy had an exhibit at the Harrogate Knitting and Stitching show that I found quite fun – a few displays of how she’d embellished clothing as part of a visible mending project. Also, she’d had this plain knitted child’s top, ripped a bit of it, and then had a whole flowchart with examples of how you could repair and completely change the look of this basic top, with visitors voting for their favourite. I look forward to reading the book. I wonder if a hemp-silk mixture might be suitable for your slip? As it’s a while since I listened to this episode, there might be some detail of your requirements that I have forgotten, and I have not tried it myself, but The Hemp Shop stocks some which claims to be durable (owing the help content), yet possessing the delicacy of the silk. What an excellent idea! And thank you for recommending a hemp supply shop. 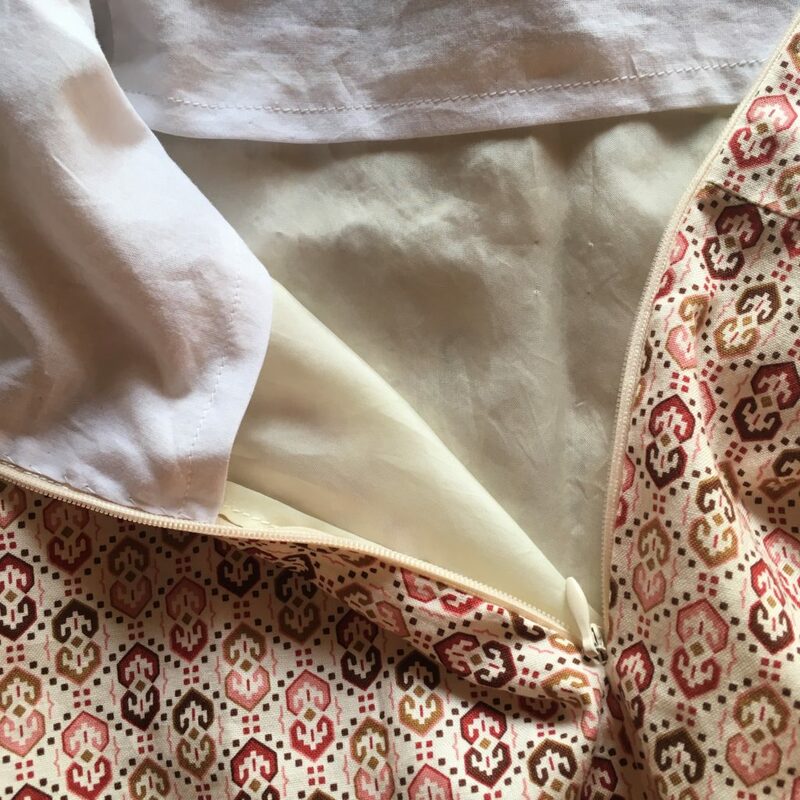 Note for source of silk fabric that even an ecobitch crone like myself can rationalize on many levels — dharma trading company. My heritage costume making (especially victorian/edwardian undergarments) were only possible at DharmaTC’s affordable prices and trade policies. I am currently in planning & development stages for fiber farm in Oregon that will include production of both silk moths/cocoons and silk thread production as part of women’s economic incubator feasibility projects. As you mentioned in review of This Thing of Paper — our fiber and fabric choices in retrospect have been highly political and economic rarely based on logical, sensible or benefit to consumer decision making. I do not believe that has changed. Only our abiity to unlearn and relearn in a more accessible knowledge culture is providing more mindful or thoughtful choices — yes — what you and other podcasters and websources are providing. Silk farms and processing were introduced in USA in early 19th century and was extremely economically feasible until the producers (religious communities that believed stongly in sexual abstinence) gradually disappeared. Attitudes and considerations of silk fiber and other natural fibers I expect will be changing as we “unlearn” marketing and nationalism mythologies and dogmas of 19th to contemporary consumerism. Im expecting our extremely moderate climate and comparatively open access to land and land use as well as conservation restoration policies here in Oregon, USA, make the reintroduction of silk fiber/fabric production and processing become untangled politically and historically and rewind to the top of the restoration and rehabitation list for niche markets ecofriendly ecosensible development projects for women in my region right alongside raising and processing heirloom sheep fibers.